The manufacturing of the S-400 missiles sold to Turkey is already on. This was announced by the General Director of the company Rosoboronexport, Alexandre Miheev, on 25th April, reported Hürriyet Daily News. This information comes shortly after 3rd April when the president of Turkey, Recep Tayyip Erdogan, and the Russian President, Vladimir Putin, stated in Ankara that they had reached to an agreement to shorten the deadlines for delivery the two S-400 systems under the contract signed by both countries in December 2017. 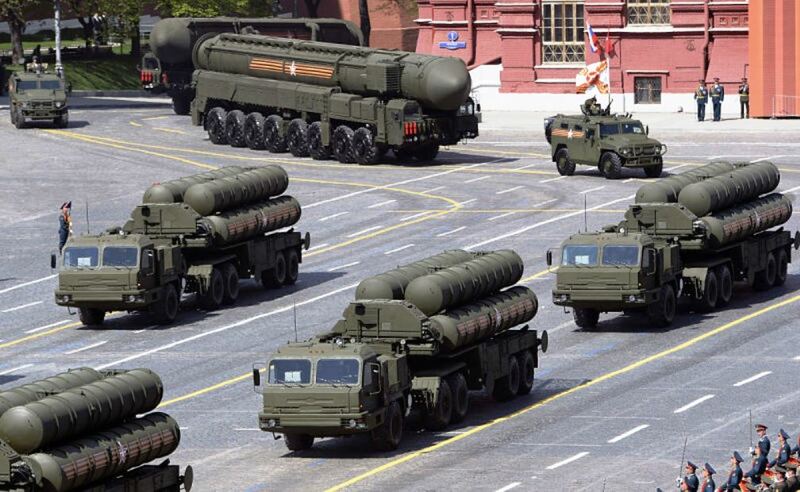 Now the implementation of the mentioned above contract is obviously already a fact, despite the long-lasting pressure on Turkey, mainly on the side of the USA, for cancelling that particular purchase, because the S-400 system is not compatible with the current NATO anti-ballistic defence architecture, and Turkey is a NATO member. It was reported that deliveries of unrevealed number of the S-400s to China have been also started by Russia. The long-range surface-to-air missile defence system S-400, which is in the inventory of the Russian military since 2007, is known as the most advanced Russian missile defence system. It is designed to detect targets at distances of 600 km, as well as to eliminate threats from multiple sources like stealth aircraft and ballistic missiles. The S-400 system consists of at least one mobile operation command center, eight launchers, and 32 missiles.